UU A Way Of Life: Ask Alexa - Does God love the world unconditionally? Ask Alexa - Does God love the world unconditionally? 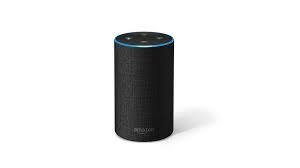 Alexa: Don't the Universalists believe that God loves the world unconditionally? It is His creation so how could He not? Alexa: Did you hear about the members of chess club, at a chess convention, who got into an argument in the hotel lobby about which team was best? Yes, and the manager asked them to leave saying, "I can't stand chess nuts boasting in an open foyer."